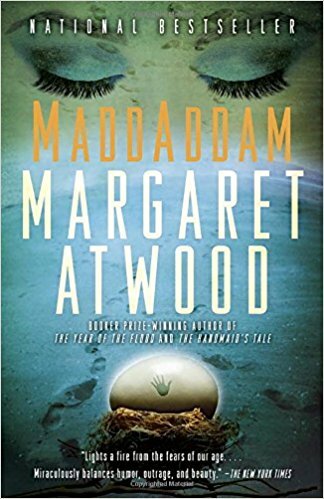 Oryx and Crake and The Year of the Flood were very interesting starts and middles to the MaddAddam trilogy (as it was dubbed by the fans), and the final chapter in this body of work by Margaret Atwood is rather appropriately titled MaddAddam. It takes off right where the last chapter ended, with the two villains being tied to trees and Toby and Ren having rescued Amanda from the Painballers. However, the plot starts to thicken as they return to the MaddAmite cob house, accompanied by the Crakers. Their prophet, Snowman-the-Jimmy, is recovering from a grave illness, leaving Toby to fulfill his shoes and prepare the house for what will hopefully be the last fight against the Painballers. At the same time, we follow the story of Zeb, who is desperately searching for Adam One, the founder of God’s Gardeners. We follow these two story arches through Toby’s perspective, ultimately culminating in an ending where all loose are brought to a close, so to speak. 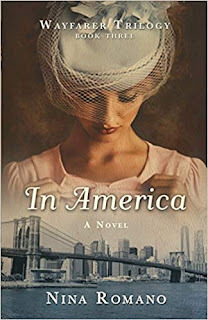 So what did I think of this third chapter in a rather unusual trilogy? First of all, the sense of wonder when traveling through Atwood’s world has reasonably diminished since we had time to get familiar with it, meaning it takes more effort in terms of emotional investment to get the same feeling out of the environments and descriptions as before. In addition to that, there is an extensive use of flashbacks which jump all over the place, and it can be a bit hard to follow at first… after some time though, you can get used to it and it will stop annoying you. Apart from that though, MaddAddam is, in my opinion, on the same level as the two books that came before it, and it manages something that very few trilogies out there can: an impactful conclusion which answers to the reader’s curiosities and gives a unique sense of closure. That is not to say the world ends when the book is over… rather, we get a sense that there is a concrete future the characters can aspire to. I guess it is a complicated feeling to translate into writing, and is best experienced by yourself. 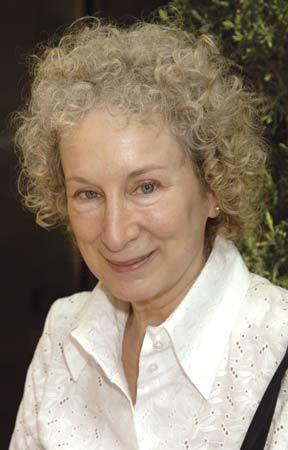 Though I did say before that it is harder to appreciate Atwood’s world because of our familiarity with it, it doesn’t mean that the quality itself of the writing has deteriorated. Think about it this way: Terminator 2 was far from having that sense of wonder and fascination with the unknown because the movie that came before it already established most things… however, that didn’t prevent the sequel from becoming one of the greatest classics ever. The environments, events and characters are still described with much detail and vividly, remaining a true pleasure to read about. The story has elements of fantasy, mystery, comedy, adventure, romance and perhaps a few other genres, all mixed together for something that feels larger than life to those who can see the complete picture. All in all, if you enjoyed the first two parts of the trilogy or are looking for good post-apocalyptic fiction to read, MaddAddam is certainly an option you can’t lose with. Just do yourself a favor; if you’ve just heard about it, read the first two books before this one… it will make the whole experience that much more enjoyable.